PrestaShop is an open source software that is available as a free download. It is an eCommerce software that has been developed using PHP language and MySQL database. It is used by over 250,000 shopping cart websites worldwide. PrestaShop can be used to develop an eCommerce website for medium and large businesses. It is possible to install plugins and also create customized plugins. It is possible to explore the front end and the back end of this shopping cart via this link. Besides this demonstration website, almost every other Web Development firm has their own demo website to showcase the product. The purpose of the demonstration website is to showcase the common features like product listing, product page, user profile page, checkout page and the payment page. The demonstration website will also have the special features that PrestaShop has to offer along an example of the plugins that are available. It is also possible to develop custom plugins for PrestaShop an example of which is likely to be visible on a demo website. The demonstration website for PrestaShop will consist of the front end and the back end. The front end of the ecommerce website, is the store which will be visible to all the visitors and is where all the products are displayed. It is possible to inspect the website by imagining you are the customer. 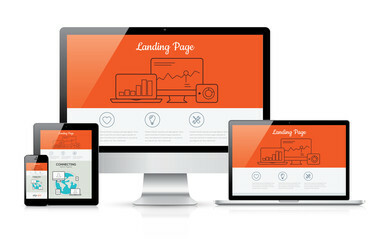 The website design or layout will be different for different websites; it also depends on what the website is selling. It is possible to check all the features that PrestaShop has to offer. The best way to do this is to go through the entire process of searching for a product, looking at the product list, checking the product page, going to the checkout page and making a (fake) payment to buy the product. There will also be a back end that is better known as the administrative panel. This section has the other basic features like adding products, managing orders, payment processing. A PrestaShop demonstration website is a good way to check all the features that it has to offer and decide on whether it is right for you. Alakmalak is a PrestaShop Web Development company, hence if in need to Hire PrestaShop Developers look no further.